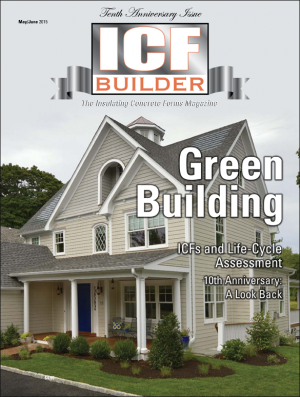 A report on Greenbuild 2012, as well as what to expect at the International Builder Show and World of Concrete, both of which will be held this year in Las Vegas, Nevada. 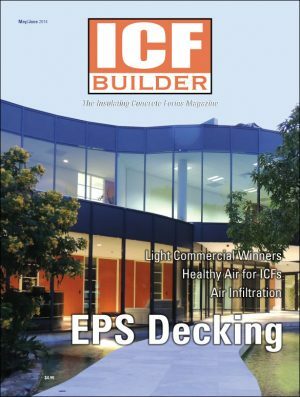 The ICF Comparison Chart is back again, along with a list of EPS decking options. The charts are introduced by a concise, illustrated guide to help determine which system is best for your project. Different from their all-foam cousins, these forms are made of vinyl, wood waste, or EPS and Portland cement. Their unique construction gives them several advantages. Data from the past 12 months indicate the first real industry growth in three years. 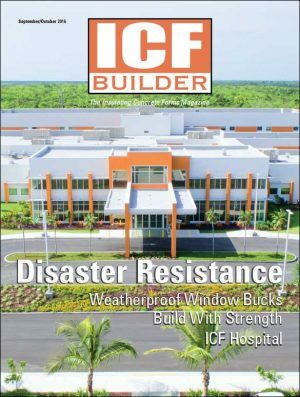 A recovering construction market, increasing green building incentives, and a focus on efficiency and disaster resilience in building codes indicate 2013 may be the best so far this decade. These amazing custom homes—each with more than 6,000 sq. ft. of living space—are beautiful, functional and extremely energy efficient. Built in Maryland and coastal Delaware, they also stood up to Superstorm Sandy—surviving the worst with virtually no damage. 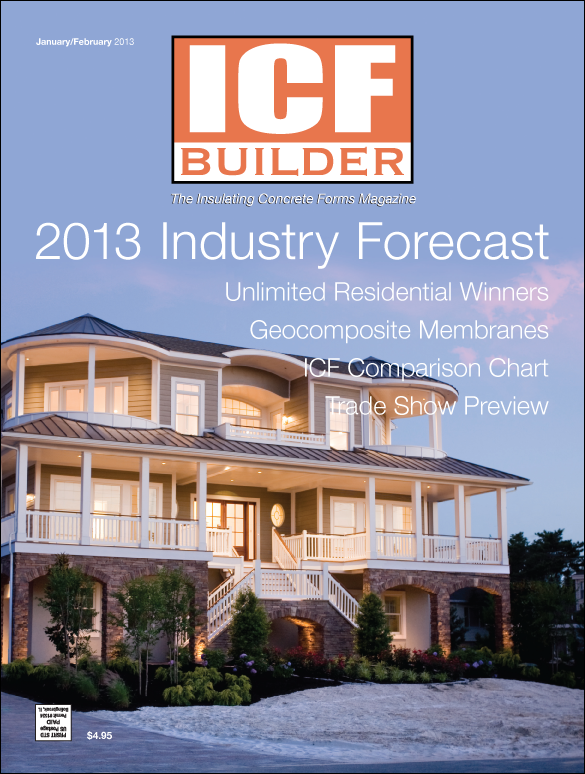 Dimple membranes are well-known as part of ICF waterproofing systems. Is it possible that they perform best when installed on the wall backwards? One expert thinks so.